Our food safety courses are for company training or groups only. This qualification is aimed at food handlers working in a manufacturing environment. Candidates gaining this qualification will know that food safety is the responsibility of everyone involved in the storage, preparation, processing, packing and handling of food. Its topics are regarded by the Foods Standards Agency as being important to maintaining good practice in the production of safe food. 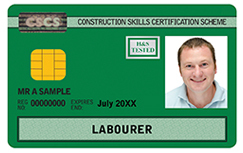 This qualification is aimed at caterers and other food handlers. Candidates gaining this qualification will know that food safety is the responsibility of everyone involved in the storage, preparation, cooking service and handling of food. Its topics are regarded by the Foods Standards Agency as being important to maintaining good practice in the production of safe food. This qualification is aimed at food handlers working or preparing to work in a retail environment. Candidates gaining this qualification will know that food safety is the responsibility of everyone involved in the storage, preparation and handling of food. Its topics are regarded by the Foods Standards Agency as being important to maintaining good practice in the production of safe food. This course aims to provide the necessary knowledge to adequately supervise hygienic food production and preparation. The course will enable the delegate to play an active role in the management of food safety issues in the workplace. This course is for those working in the food industry at supervisory level but can also include anyone who needs a good understanding of food hygiene for their work. Owners and managers in small to medium sized food businesses may also find that the intermediate course provides them with the knowledge to carry out their work more effectively. Delegates will need to have an analytical approach to food hygiene and will be encouraged to demonstrate how they can influence others and positively encourage good standards. The Level 4 Advanced Certificate in Food Safety is a qualification aimed at managers or personnel looking to broaden their knowledge in the Food Safety sector. The qualification is intended for learners already working in catering, or those who are preparing to work in the industry, and whose job requires them to have some responsibility for food safety. Learners are likely to have management responsibilities for an operational team. The Level 2 Award in HACCP for Manufacturing is aimed at those working in a food manufacturing environment. The course is intended for candidates already working in food manufacturing and those who are preparing to work in the industry. The course will be especially useful for those involved in maintaining HACCP in a manufacturing environment, and for those who are or will be part of a HACCP team. The HACCP Intermediate Certificate is aimed at those responsible for assisting in the development and maintenance of the HACCP systems. The qualification is also suitable for those owning/managing smaller food businesses to give them the underpinning knowledge to implement an appropriate food safety management system based on HACCP principles. The qualification is intended predominantly for learners already working in catering, with a sound knowledge of food safety hazards and controls. The HACCP Intermediate Certificate is aimed at those responsible for assisting in the development and maintenance of the HACCP systems. Holders of the qualification will have the knowledge necessary to be an integral part of a HACCP team in the manufacturing and other related industries, for example those involved with distribution and storage. The qualification is also suitable for those owning/managing smaller food businesses to give them the underpinning knowledge to develop a HACCP study. The qualification is intended predominantly for learners already working in manufacturing, with a sound knowledge of food safety hazards and controls. This qualification is primarily aimed at senior supervisors/managers working within the food manufacturing industry, but will also be of benefit to those working in catering and retail. The aim of this qualification is to develop an understanding of HACCP-based food safety management. Holders of this qualification will have the appropriate knowledge and understanding to be an integral part of a HACCP team and to manage the implementation of a HACCP-based system in the work environment. The Level 4 International Award in Managing HACCP for Catering is aimed at learners who are working at a management level in a catering business or are members of the HACCP team. It would also be useful for trainers, auditors, enforcers and other food safety professionals. It gives learners the skills to assist in the implementation of a HACCP system, to critically evaluate HACCP plans and to understand the importance of having an effective HACCP system in place. This qualification is aimed at learners who are working at a management level in a manufacturing business, quality assurance staff or members of the HACCP team. It would also be useful for trainers, auditors, enforcers and other food safety professionals. Achievement of this qualification will give learners the skills to assist in the implementation of a HACCP system, to critically evaluate HACCP plans and to understand the importance of having an effective HACCP system in place.